What Is A Good MLM Plan? 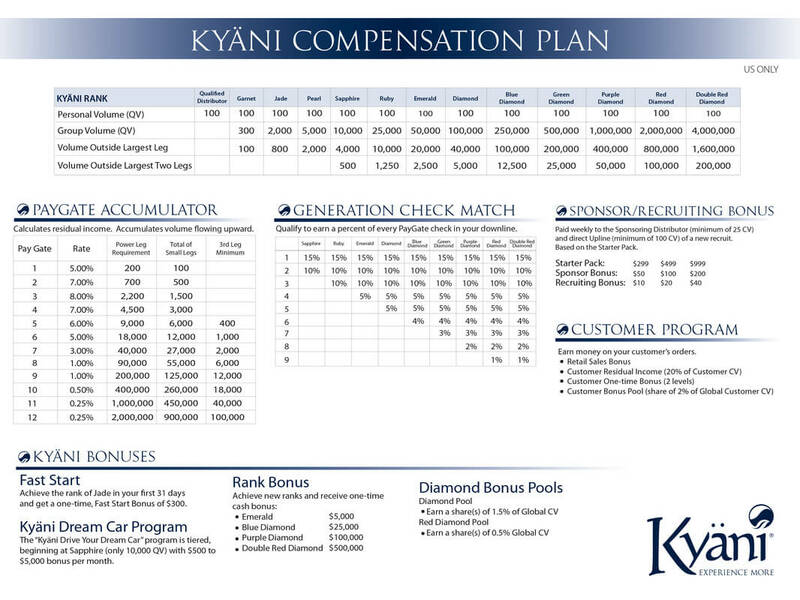 There are plenty of businesses out there claiming to offer the best MLM pay plan and there certainly are some close competitors when it comes to the top MLM compensation plans, but no one gets close to the Kyani compensation model. One of the factors that distinguishes the Kyani PayGate from other MLM comp plans is that it is not unilevel, binary, forced matrix, or a stair-step breakaway. 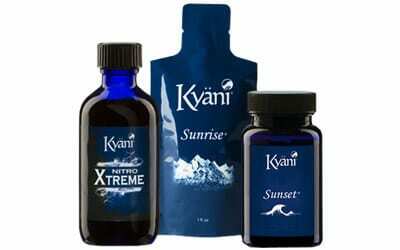 It is a totally unique structure and a lucrative, revolutionary new MLM plan for rewarding Kyani distributors. Ultimately, this is a business and the business is only profitable when there are real customers buying product for personal use – not distributors buying promotional product for rank qualification purposes. That is the trap that many MLM distributors fall into and that’s when that one word “P-Y-R-A-M…” starts to be used. Your MLM plan needs to be different. A genealogy tree is a means of tracking relationships between all the distributors in Kyäni. In the Kyäni Compensation MLM Plan, there are two genealogy trees, the Sponsor Tree and the Placement Tree. When a new distributor joins Kyäni, they appear in both trees. The Sponsor Tree is like a family relationship tracker in the Kyani MLM Plan. Everyone you personally recruit is positioned directly under you on your first level. When your personally recruited team members recruit someone, they are then placed underneath them on your second level. This placement is automatic and directly determined by who recruited the new distributor. The width of your Sponsor Tree is as wide as the number of people you personally recruit in this MLM plan. The Placement Tree is another relationship tracker in the Kyani MLM plan. Unlike the Sponsor Tree, you have the freedom to place your personally sponsored recruits anywhere you desire in your downline in this MLM plan. There are different reasons why leaders place newly recruited distributors in different positions of the Placement Tree. These include A) synergy of building a team; B) geographical considerations; C) personal relationship considerations; or D) Building to the next rank. Proper placing of new distributors in your Placement Tree is important and helps you build a wider, deeper, and more profitable organization.When you personally recruit a new team member, you may immediately place them in the placement tree or you may place them in the Holding Tank where you have up to 72 hours to place them in the Placement Tree. If you do not place them within the allotted time in the Kyani MLM plan, the system will automatically place them on your first level in your Placement Tree. There is no limit to the width of the Placement Tree; you can build it as wide as you like. To be eligible for all bonuses, you only need to have three legs. In the MLM plan illustration below, you will notice that George was placed below Mary in this MLM plan. The same organization is represented in both the Sponsor Tree and the Placement Tree. Because you can qualify for PayGate Accelerator Bonuses (the first four PayGates) with just two legs, moving George may be a possible approach.